At the end of 2012, we moved from Lexington to Frankfort. Weirdly, I did not mind leaving the garden I had established over fourteen years. I was looking forward to starting a new one on a blank canvas. Not making the same mistakes I made in designing the previous garden. We also started with much better hardscape in our Frankfort house. 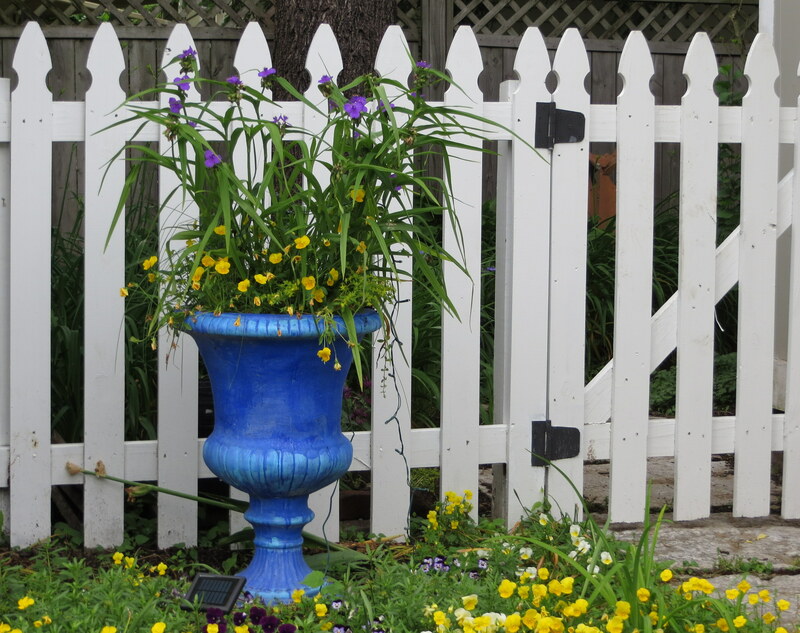 This picket fence is only part of what I like. You may recognize the urn. Somehow I managed to get it into my small car by myself [Bob has a bad back and I have forbidden him to help] and out into this spot in our new yard. It makes this space between the garage and house look special.